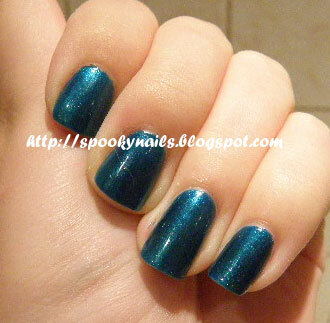 I love emerald and dark teal colors of polishes *. * Another Wibo polish from the latest serie – number 49. 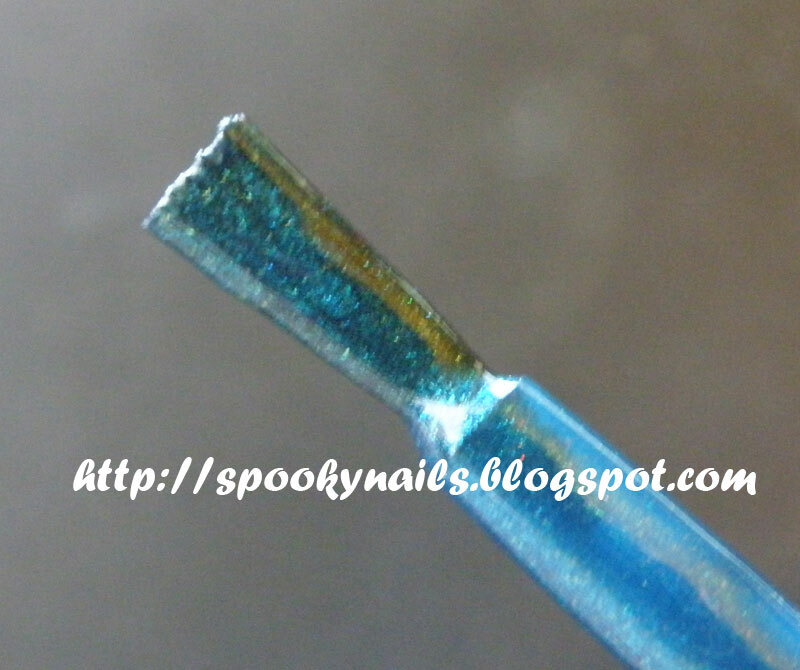 It’s dark emerald color with teal undertone and subtle sparkles (in artificial light it is just a usual shimmer, in daylight they looks like little glass flecked particles). Application is fabulous, I really like those brushes – they are short and wide (I took a picture of one of them). Two coats gave the full coverage. Today I bought another dark green and another shadows caught my eye, I’m going bankupt;) It was hard to catch color on the pictures – in the bottle is emerald green (also on nails in artificial light). 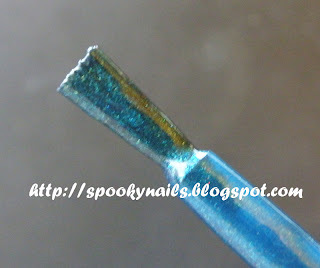 In the daylight there is more dark teal, it has a really strong blue undertone. So pretty and so cheap ^^. Photos in daylight with topcoat, in artificial with Sally Hansen Insta Dri. Kocham ten pędzelek, zdjęcia są przed poprawkami i właściwie nawet nie ma czego poprawiać :> Tak łatwo sie nim maluje. I love that brush, photos was taken before any cleaning and there is almost nothing to clean :> Painting is so easy with it.